Jennifer L. Miller - Phillips Murrah P.C. Jennifer L. Miller represents both employers and employees in a variety of discrimination and employment disputes. Her practice also involves the representation of national and international corporations in intellectual property disputes. 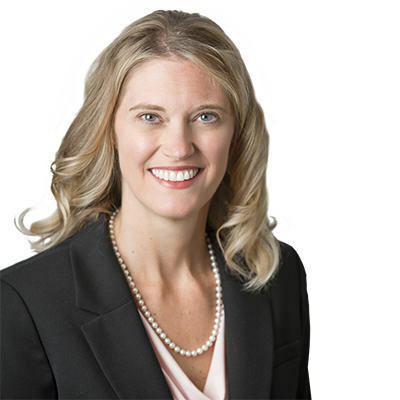 Jennifer L. Miller is a Director of the Firm’s Labor and Employment Practice Group. Jennifer was named to the Best Lawyers in America in Commercial Litigation. While in law school, she received the Roger Stephens Law Scholarship and CALI Awards in Excellence in Banking and Criminal Procedure. She also received the T. Hurley Jordan Award for Excellence in Criminal Procedure and the Medal of Excellence in Banking from the American Bankruptcy Institute in 2003. Jennifer was a Judicial Extern for the Honorable Judge Robert H. Henry of the Tenth Circuit Court of Appeals and member of the American Bar Association National Appellate Advocacy Moot Court Team and the Oklahoma City University Law Review. Born and raised in Hollywood, California, Jennifer lives in Oklahoma City. In her free time, she enjoys spending time with family, traveling and running. She is also involved with Big Brother Big Sisters and Holiday Adopt-a-Family.